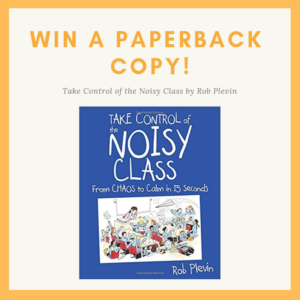 I’m thrilled today to be giving away a few copies of Rob Plevin’s book, Take Control of the Noisy Class. If you’re not familiar with Rob’s work, I encourage you to take a look at his classroom management videos on YouTube here. His classroom management philosophy is based on building and enhancing the relationship between student and teacher – creating a practical system to help you take control and enjoy stress-free teaching. Would you like to win a copy of Rob’s book, Take Control of the Noisy Class? He’s generously donating THREE paperback copies for my readers! Leave a comment below. I’ll randomly choose one winner from the comments on Wednesday, February 6 at 9:00 pm CST. Head over to Instagram, where I’ll be giving away two copies! P.S. Be sure to check out what you can win HERE or HERE. Also, read more about the needs-focused teaching approach HERE. I’m hoping to win and share with my BTs! Thanks for having a fabulous give away! 19 of my 25 students are boys… noisy is an accurate description! Would love to get some tips on how to make this year even better! Thanks so much, Shelley. The title alone is terrific! In desperate need of this book please! A constant struggle for our entire building this year. I’ve never encountered anything like it in 19 years of teaching. This sounds like a great book! Would love to get a copy. ? I really need this book lol! I enjoyed the first three videos. I would love to have his book! I can’t wait to read this book! I have a classroom of NOISY K’s! Looking forward to winning this! Although I dont ever win anything ? I’d love to win. This will really help me in my final year of teacher training! I need some new strategies for classroom management. This book sounds perfect! Need this book! Talking constant struggle. Always looking for ways to improve myself. Thanks for opportunity. I’m a first year teacher and have the most chatty class ever. I would love to learn some tips to help the rest of the school year go smoother than its been! I’ve been teaching for over 20 years and I still am always on the lookout for great resources for classroom management! This is a much needed resource! My class is sooooo loud! Yikes! I have tried everything this year with little, to no success. I am looking for more ideas! I would live to have the book. I would LOVE to win this book! I seriously have the noisiest class EVER! I could not agree more. I currently teach every grade in K-6 except 2nd and NOISE is always an issue- Even during testing 🙁 We are currently working to rectify this in our building with our new principal so ANY help and outside data would be extremely beneficial!!! I’m a new teacher…always interested in taking control of noisy classes. Great giveaway. Sounds like he has some really great suggestions. Thanks for always posting great resources! This is FANTASTIC!!! I could REALLY use this! Thank you for the chance to win! I would love to win this book! Thanks for doing the giveaway! I’m feeling lucky! Love your website. I’m excited about the opportunity to read about your classroom management strategies. I would love to win this book. It would so helpful for me and my classroom. I would love a copy of this. Thank you so much!! This is my classroom this year! Would love this book to give me some new strategies. I NEED to read this book! I teach Science as a special to elementary students. They are so loud. I love this book and would love my own copy! I would love a copy ? I’m excited to have the opportunity to read about your classroom management strategies. I’m a Catechist and a homeschooling mom and this book would go a long way in helping me manage not only my classroom but also my household! Really interested in this book! I’m always looking to expand my knowledge on classroom management with my kindergarteners! Would love to read this book! I have heard GREAT things about Mr. Plevin! I was transfered from K to 4th this year and would love to get some pointers on managing older students! I could use this. I’ve tried everything under the sun and then some and I still have some chatty students. I’m looking for anything that will help my classroom management! I desperately need this book for my class this year! Nothing seems to be working. Please, help! I have grades 3-8 in my classroom (13 students) and it’s almost always noisy. I would love to get some helpful tips on controlling the noise! Would love a refresher after 25 yrs of teaching, always excited to be reminded of different strategies and learn something new! Need some new suggestions. Looking forward to seeing your strategies!!! I’m interested!!!!!!!! Thanks for the chance to win! A book like this with awesome strategies, tips, and found successes could really help me get my class back on track to where they need to be going! I need some practical ways to build relationships with my class and some ideas for motivating them to get their work done. Thanks for the chance to win this book. Sounds like an exciting chance to try something new! I teach at a tough school with kids that do not value education, I need to check this book out! This is an awesome giveaway. The struggle is real. Thanks! Would love a copy of this book!! I’m always interested in new ideas for classroom management. Wow, what a wonderful learning opportunity. I teach small group behavior special ed. I’m always searching for better ways to reach my students. This is so exciting!! This is a great tool for those rough years! Fantastic class this year, but Mamma Mia can they talk!!! It’s also my birthday on February 7th. That would be a wonderful present of helpfulness to receive. I’ve have a chatty group that seems to have gotten ‘chattier’ since coming back from Christmas break! New ideas are always welcome!! As a mentor, this book will help me help others with management. What a great opportunity! Rob Plevin has some great strategies that I want to implement in my classroom! I’m always looking for classroom management tips, and will definitely check out his website! Taking control of a noisy class is something I’d love to be better at! Thanks for the chance to win! I am a second year teacher and have a very noisy class so I’m sure this resource would come in handy!! I would love to have the opportunity to read this book and learn more classroom management tools. Thank you! My class could use this more than anything. I was just thinking that I needed to figure something out with my chatty classroom! This would be awesome! Fantastic class this year, but Mamma Mia can they talk!!!! It’s also my birthday on February 7th and this would be a wonderful gift of helpfulness ! This has been my number 1 struggle as a first year teacher! Love my class but they are just SO chatty! Would loveeeee to win and utilize this book!! This would be a great resource for my forst year of teaching! I serve a challenging community of kiddos that I love with all my heart and think this would help so much. Thank you for doing this and good luck, everyone! I would love ideas how to take control of a chatty class! I have the chattest class ever! I would love to share this with the rest of my staff as well! First year teacher with a classroom full of Chatty Cathy’s, I so need some advice! I would love this book I’m in desperate need of a pick me up !! This would be great since I’ve had a challenging class this year but they are adorable !! I am curious about the strategies that he employs and how they vary from what is currently the norm. Thanks for the opportunity! Thank you so much for this opportunity! Definitely much needed! Oh!! My class IS noisy! They love to chat! Thanks for the giveaway! I’m going to go check out those videos!! ? Thanks for the opportunity to receive this book. Looks amazing and helpful! This should be an interesting book for reference. This is the first year that I really need this book. My students just can’t seem to stop talking!!!! The books sounds very informative! This book seems really good and very helpful. I would love to read it. I would love to read this and get better for my students! It’s important to always have many ‘tools in our belts’, and new ideas and perspectives are always valuable and inspiring!?? This looks like a great book to read! I’m always looking for new ideas on classroom management. This is so needed for my sanity this year. Help! Please! I have a wild bunch of kindergarten kiddos this year and would love to read this! Shelley Gray, you read my mind! Thanks for creating some of the most amazing math resources I’ve used over the years and for sharing this classroom management guru with us! Teachers love to learn just like their kids! This would be a great read. Thank you! I’d love to read this! He’s awesome! Always can use a practical resource such as this book! I can never have enough tricks up my sleeve with active first graders! I need this! I’d love to win! I have 12 boys and 11 girls. Sometimes the boys talk more than the girls! I tell them they are “Chatty Kathys”! This looks like the perfect book for dealing with my wiggly, chatty class! I’d love to win it! This book looks interesting! I would love to read it. Would love some fresh ideas this year! Thank you! I have a noisy class. I need this book! This book is what I have been looking for. I work in a low income area and the kids just survive in chaos. It’s so hard for them to just be quiet or speak softly. I am struggling with teaching them to be aware of their level of voice etc. This book will help for sure. Great giveaway – I’d love to win a copy of this book! This book sounds like what my classes need. I would like this book. It would help with my current class. Yes, please enter me. Rob is great. Clear and very helpful! Please! I could really use some tools for my chatty, squirrelly bunch. I’m in my 2nd year of teaching and Kindergarten. I’m slowly dying already but don’t want to. I need tools! Thank you..
Oh my God… I need this book more than you can know! There never has been a more important time in teaching. Thank you. I have a classroom of lovely students who, as a whole, struggle with self-control. In spite of established routines and expectations, each transition throughout the day becomes a potential challenge, as can student behaviour during group work and instructional times. I would LOVE to win this book because it’s time to try something new! Thank you for this opportunity! I hope to win!! I’m looking for some new idea to use in my classroom!! Thanks you the opportunity!! Noisy? Twenty four 4 and 5 year olds in a Prep class. I NEED this book! Need help! This is my noisiest class in all of my 17 years! Don’t know if I’m going to make it another 13! Building relationships with the kids we teach is so important, but not always easy. Would love to see this book. Thanks for the opportunity! This book sounds like a godsend! I have been teaching 22 years and need new ideas for a noisy classroom. Thanks! I would love to win a copy. Yes, please! I would love to win a copy! I am up to the point where I feel like I am at the end of the tunnel and I cannot manage my chatty classes anymore. What makes it worst is that I am a brand new teacher and I do not have a bag of tricks yet. Whatever I had, I’ve used them all… I fear that the students are feeling my insecurity and thus are taking control of my class. I really want learning to happen but I just can’t do this anymore… Winning one copy would save my insanity! This looks like just the book we ALL need! This is a building need for me. After Christmas Break, the quiet ones are now becoming chatty. Desperate need of this book! Sounds like a great resource on classroom management. I definitely have a room full of chatterboxes. I want to help them redirect this energy i to their learning. I loved loved to get some new ideas. I am SO in need of this book this year! Would love to win a copy! Thanks for the chance to win! Your products are awesome! Please pick me!! I need some more effective tools for my toolbox! I woul love to have the opportunity to wi this!!!!!! With boisterous and energetic Year Six boys, this would be helpful in 2019. Would love to take a look! This would be an awesome book to have. My class is super noise this year! Win or lose everything you share with us is a win for the kids. My class has been together since 1st grade. They know each other so well, they will talk no matter who they sit by. Still, now in fourth grade, they won’t be quiet!! Ugh!! They act like siblings!! This would help my very noisy 6th grade classroom!! I seem to be able manage most other behaviors, but managing noise/talking during independent work time has been a struggle. If I don’t win the book, I will most likely purchase it. I will take whatever help I can get. I appreciate the opportunity to be in the running for this book. Thank you for taking the time to email me. I would read thisbook take notes and share it with my co teachers and my colleagues to help themeith their noicy classrooms too. I would love to have a copy of this book! I am always looking for ways to improve my classroom management! This book sounds interesting. I would love a chance to read it. Thank you for this giveaway! You can never have too many classroom management strategies . This looks like a great read! I will keep my fingers crossed!!! Thank you. This looks like a great resource! Thank you. I’d love to read this! Have a great day! ? I have quite a noisy class and am always trying to find new ideas to try!! What a fun, practical and TIMELY give away. THANK YOU!!!!!!!!!!!!!! Couldn’t have come at a better time. I need this book! This is something that I really NEED for my class this year. Thank you for this opportunity. This would be incredible! Thanks for the chance to win. This resource could really help me out! What a great give away. I’m a veteran teacher, but I could sure use some new ideas! This would be a great resource as I move from assignment to assignment! I could really use this in my chatty kindergarten classroom!! A book I would put to use immediately this year! Hope I win! This would be a great resources! Wow! I watched some of his videos and it really resonated with me. Some of these things I already knew, but had forgotten as I’m new to teaching and still trying to figure it all out. Thanks for the opportunity ! What a great opportunity. This is very generous of you and would be a great resource. Thank you so much! I have an extra-chatty class this year. Blurt beans are only helping a little. I would love more ideas. This is awesome! I would love to win!! Thanks so much! Struggling this year and would love a new perspective! Rob Plevin has such great information for a first-year teacher or a veteran. I would LOVE to have a copy of his book. My noisy class of fifth graders could use a little help! Thanks! Thank you for this opportunity. Love all your ideas. Your TPT’s are awesome. I’m sure that many of my colleagues would love to have a copy. I always look forward to your emails, and finding this giveaway made it even better! Thanks for all of your hard work and for sharing it. This can be a great tool to assist teachers in developing and honing their classroom management skills! I would love to have this in my classroom and thank you for the YouTube suggestion!! I’d love to add this to my professional library & start taking control of my noisy classes! Thanks for the opportunity to win this awesome resource! This sounds like the perfect read!! This book sounds like just what I need! Thanks! This would be great for my class this year! They are talkers! I would love this much needed resource! I am a Special Education teacher with Elementary ages. This would be beneficial to my colleagues and myself. What an awesome gift….thank you! This book sounds like a great resource! One of my biggest classroom management struggles in my first few years of teaching was learning how to control a chatty class. I strive to foster a respectful, learning environment in which students and teachers alike listen to and learn from one another. But it is quite a challenge to get talkative students to be quiet and listen to each others’ ideas and to take turns speaking. I would greatly appreciate this resource! Thank you for providing this opportunity, Shelley! I would love this book. I am a 5th year teacher and would love to refine my practices in this area. Noisy is my class. It was lightning and thundering the other day and we couldn’t hear the thunder! So noisy! Thanks for a great giveaway! I have the noisy class! I would love to learn how to harness that into greater productivity and creativity. I would like to have a peaceful class! 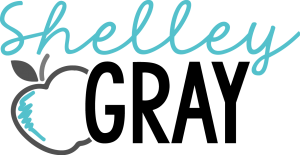 When things run smooth is a lot easier and less stressful….I would like to know how…. This is an incredible opportunity! Thank you. Can’t wait to check this out!! I woudl love to win this and share with my colleagues. Thanks for doing this giveaway. Thank you for sharing! Just watched the first 2 videos. He makes things so clear! Really simple things you sometimes forget to incorporate but should. Thanks so much for the giveaway. I seriously need it this year! Thank you so much for the generous giveaway. I hope I get picked. I could really use it right about now! Just watched the first video & loved it! I can’t wait to read this book. Thanks for doing the giveaway. Have an extra noisy class this year and would love some extra tips! Sounds like an awesome book! Please enter me to win it! Always love ideas to help me in my classroom. Wow; what an awesome giveaway! I’m a middle school teacher, so I would love to read about how I can take control of a noisy class. What a great give away. Good luck to all that enter this drawing. Thanks for the opportunity to reduce noise level and increase learning. Much appreciated. I would love to have this book! I teach some very loud Middle Years students in a multigrade/multiage classroom. None of my tried and true techniques work for long with this group. I need some new ideas and strategies. Thanks for the opportunity! I could definitely use some help this year!!!! My strongest class is full of bright, independent thinking students but this also makes them extremely noisy! I would like ideas on how to embrace their energy but keep the class focused on the task at hand! Hi Laurie! You’ve been randomly chosen as the winner! 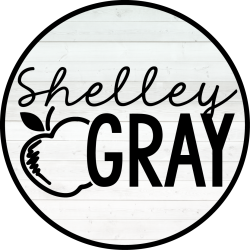 Please email me at shelley@shelleygrayteaching.com! Thanks! I would love to win this book. It would be very helpful for many teachers a my school! Can never get too much help for a noisy classroom! Thank you for this giveaway! I’m in desperate need of help on this subject. I’m at my wits end this year! I would love to win this book and have a good read of it ??? I could definitly use this! If i’m a winner, which never happens to me, I’m going to share it with my colleagues during our next PLC . We all have THE NOISIEST kiddos in our classes. We often comment wondering what was in the water when these kids were born! Oh, I’d love to get my hands on this book. This is such an exciting giveaway! I would love to be considered for this book. I always try to seek out PD or professional reading that is relevant and this one definitely fits the bill. I strive to have fun with my students which unfortunately lends them to be a bit more at-ease and chatty. This side effect is not always the best! Reading this book would be a great use of my time! Thank you for considering me. I’ll take any help I can get! This is a generous giveaway! Thanks! This book sounds amazing and like an answer to my coteacher and I’s prayers. Winning would be amazing! Oh how I would love this book. I have a very chatty class and its exhausting! Oh boy! I could really use this book right now for a bunch of little people who are interested in being in second grade with their teacher ? Perfect timing! I need this advise this year. Thank you so much. I teach special education K-1 and this year my class is VERY noisy and energetic. I could use some help please! Thank you for the link! You may want to let him know of the crazy list price so he can get more purchases! I’ve seen Amazon mess up prices before. I always feel so bad for the authors. I teach first through fifth grade Gifted Math and would love to read that book. I would love this book! It sounds like just what I need. Have a VERY busy split class this year and would love any and all tips & tricks! I have a class of 30 noisy-at-all-the-wrong-times students. I would LOVE the help this book could offer!